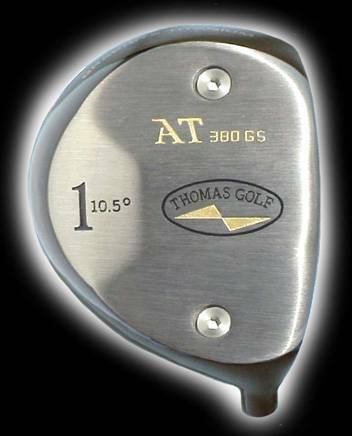 THOMAS Drivers present an exciting new advancement in the game of Golf, and have already been played on the PGA and Senior PGA Tours. Patented ADVANCED AIM & ALIGNMENT TECHNOLOGY lowers your scores and makes golfing more enjoyable. THOMAS Drivers give you an exceptional advantage over other brands by making it easier to aim and align your shot to the target. 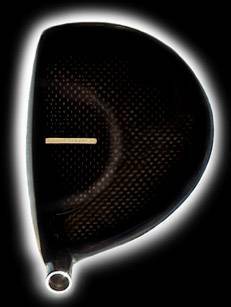 Interchangeable weight ports allow each golfer to custom tailor this titanium driver's center of gravity. Each golfer's swing is unique, so adjustable weighting is a great facilitator for maximum performance. The discretionary weight of these weight port cartridges was made available by the lightweight graphite construction. Each cartridge is a substantially different weight. Placing the heavier (longer) cartridge in the toe area will produce neutral/standard center of gravity for the golfer who hits the ball straight or prefers to hit a fade, while placing heavier (longer) cartridge in the heel area will move the center of gravity to help the golfer produce less fade or more draw spin. 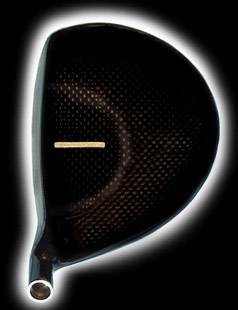 New Technology allows for multiple materials to be used seamlessly in one clubhead. An ultra-lightweight high strength graphite composite is used for the upper shell, allowing for an even larger face and sweet-spot resulting in unprecedented distance and accuracy. This additional distance is not only from the spring-like effect of the thin 2.5mm face, but also from the ingenious design of the Driver's level Top-Plane. 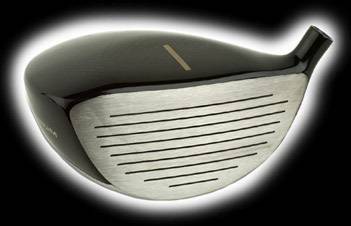 The traditional shape of other brands have a roll-and-bulge (domed) top, that will flex when the head makes contact with the ball. This flexing top absorbs energy from the face and power is lost. The golfer wants all the energy to stay in the face so it can be transferred to the ball. The straight design of the driver's Top-Plane eliminates unnecessary flex and delivers more power from the face to the ball, consistently sending your shot further. The first and only oversized driver heads specifically designed to maximize alignment performance with unique and effective alignment indication. The level Top-Plane of the club head allows for an indicator that is parallel to the ground and therefore can be used accurately to aim at the target. 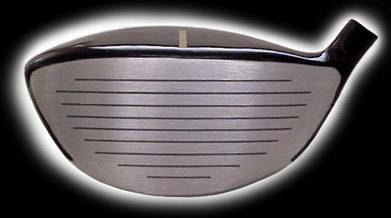 Additionally, the flattened top widens the effective hitting area for greater forgiveness on off-center hits, giving you the most forgiveness and solid performance on all swings and hits that might not be your best. It also helps launch the ball with a higher trajectory resulting in longer and straighter flying drives. We are confident you will enjoy more than just the enhanced distance of the Thomas Driver, but also the accuracy, forgiveness, trajectory, ball flight, sound and feel.